The Captain and Crew of a safe, well-run sailboat operates just like a Business - whether Board of Directors or Senior Management; the entire workforce of a small company or individual team units within a large corporation. Our Corporate Team Building Cruises highlight and enhance the skills necessary to function as an efficient, coordinated and productive team. Team Building cruises aboard Therapy serve both to address problems that exist within an organization as well as strengthen skills and productivity of an already successful Team. We will work with you before the cruise to customize the Team Building program to suit your specific needs and personnel. 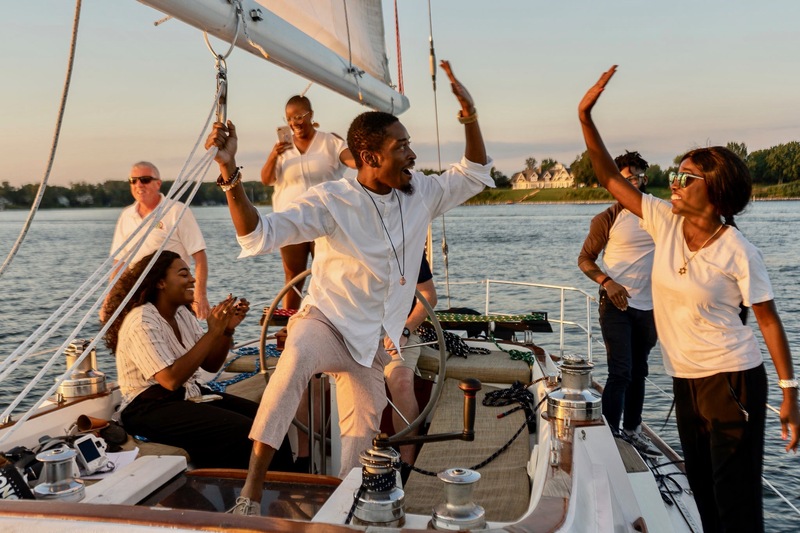 After Introductions and Orientation aboard at the dock, the Captain and Cruise Director lead our corporate guests out onto the Chesapeake Bay as Therapy's crew - hoisting and unfurling the sails, planning and setting our course, and operating the boat. It's an amazing sense of freedom, responsibility and control! Additional activities include maintaining a safe environment aboard, defining Standard Operating Procedures, establishing methods and lines of communication, and reporting simulated problems and progress. Guests take turns serving as the Captain or the Crew. As leader and authority figure, the Captain's responsibilities includes goal-setting, delegation of responsibilities and informing the crew of tasks, motivating action and productivity, as well as rewarding and disciplining the crew. The Crew's responsibilities include: following orders, providing information on progress and problems, and being 'part of a team'. We draw parallels between sailing and business as much as we can. We anchor and 'Chill' for a delicious buffet lunch, either in Harness Creek or the Rhode River. 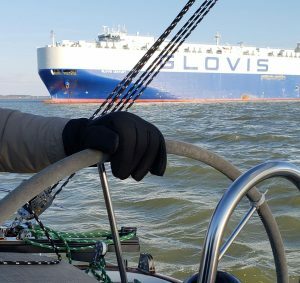 Before setting sail again, we discuss the morning's experiences and broach issues that can impede a successful team - triangulation, rumors, poor anger management unresolved conflicts. We review skills and procedures to address these issues. At the same time, we approach challenges from a strength-based perspective - implementing proven SOP's while implementing improvisation where necessary. A ship only has the crew and what is available aboard to be successful. A more relaxed sail takes us home, though with opportunities to implement the principles learned during the day. The Captain debriefs each guest on an individual and confidential basis regarding their experiences aboard and anticipation of returning to work both as an individual and team member. We have found that emerging from this common experience aboard Therapy creates both a common reference point for the principles of a well coordinated and motivated Team, as well as empathetic connection between the members that translates into better functioning in the workplace. The Captain dedicated to our Team Building Program is well qualified and experienced in this domain. He is a former research scientist from the National Institute of Mental Health in Bethesda as well as a former Director/Vice President-level executive in the biotechnology industry. He graduated from the clinical psychotherapy program at Columbia University with residency training in the Employee Assistance Program (EAP) at Cornel University in New York City. He runs a private psychotherapy practice in Annapolis, and lectures to companies in the Maryland area on EAP-related issues. Our Cruise Directors are all college graduates with experience in a broad spectrum of business and professional industries. What are your goals for Team Building? Confidentially: What are the problems that currently exist? Does your group have any requests while cruising aboard? We look forward to planning the event for you and your group!